Between New Year’s resolutions and preparing for the Disney Princess Half Marathon, a healthy lifestyle and physical fitness have been on my mind constantly. Not only has it been on my mind, but it’s also been on the mind of anyone and everyone who’s affiliated with the Miss America Organization. 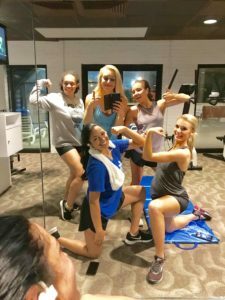 Yes, the Lifestyle and Fitness competition has been eliminated from the Miss America Competition for the time being, but that doesn’t mean that having a lifestyle of good health and physical fitness is any less important. It may not be directly measured in an actual competition but it is still just as relevant and necessary. When I’m eating good food, working out, taking care of myself, etc. I always feel more powerful and confident. Stepping onstage in a swimsuit, I felt fearless and strong because how hard I had worked to have a healthy body. Heaven knows that going to Miss America, I needed to maintain that same level of confidence. While preparing to compete, although there wasn’t any swimsuit competition, I wanted to maintain the healthy lifestyle I’d developed throughout competing over the years. I knew that in order to feel ready and to feel like a Miss America, I needed to maintain a Miss America’s lifestyle. As a result, I felt healthy, strong, and happy and I wasn’t alone in this. My fellow Resorts ladies and I posing after a successful gym session. At Miss America, Miss New York, and now-Miss America, Nia, was so adamant about lifestyle and fitness as well. She started working out in the dressing room before one of our preliminary competitions and I joined her for a quick ab and leg workout. Fun fact: she also educated me on the importance of apple cider vinegar. I also loved my late-night workout excursions with my Raging Resorts family. We journeyed to the little hotel gym to get in our sweat sessions after consuming all the delicious food we were provided. We knew that we weren’t being judged on our physical fitness, but we had developed a lifestyle as a result of preparing for fitness competition and we wanted to have peak levels of confidence for our competitions. Some days I’m at an elementary school which requires tons of energy and patience, other days I’m giving a speech at a conference or playing my violin at a care center. Miss Utah isn’t a sit-down job — you’re always on the go, presenting, performing, or interacting. If I didn’t have a healthy lifestyle, I wouldn’t be able to handle it physically, emotionally, or mentally. Aside from actually doing the job, working out has become my release. After long days of engaging with people, I usually need time to decompress. Working out has become one of my favorite ways to unwind; it’s become a form of therapy I never knew I needed. Having and maintaining a healthy lifestyle requires extreme discipline. I would say that kind of discipline was the most difficult part of preparing for Miss Utah and Miss America and it was why the lifestyle and fitness competition was so important to me. Many of my Friday nights were spent at the gym instead of out at parties. And instead of eating cookies and ice cream each time they were offered, I would opt for fruit or a protein bar that made a poor substitution for a candy bar. 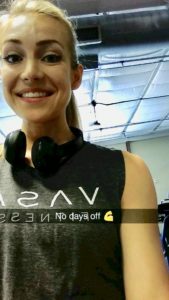 Every day I would wake up and make healthy choices throughout my day, and each time I made those healthy choices it would remind me of my larger goal of becoming Miss Utah and further reinforced my discipline. This discipline not only applied to my workout and eating habits — it touched every area of my life. When I didn’t want to read another page of my economics textbook, I would tell myself that I could do it because I had instilled the habit of doing that extra rep at the gym. When I haven’t wanted to get up early to go to an event, I’ve done it anyway because I had made the habit of choosing broccoli instead of burritos. When I’ve been exhausted and haven’t wanted to attend my volunteer or service commitments, I’ve found the courage to push myself because I’d found a similar kind of courage in pushing myself to hold that plank for an extra 30 seconds. 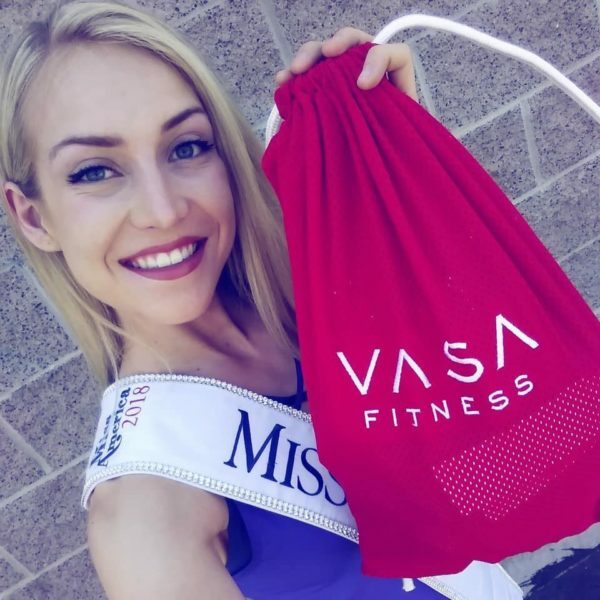 The lifestyle and fitness competition helped motivate me to develop a unique discipline that carried me through college, my time as Miss Utah, my various competitions, my studying for the LSAT, and more. Bottom line: I’m still not perfect and I’ll freely admit that I’ve fallen off the wagon dozens of times — especially during the holiday season. There are some weeks where my diet is primarily comprised of chocolate and tacos– but you know what? That’s okay. We get back up and we try again, right? That’s what makes it a lifestyle. A healthy lifestyle will always be important and relevant even if it’s not measured in a competition format.